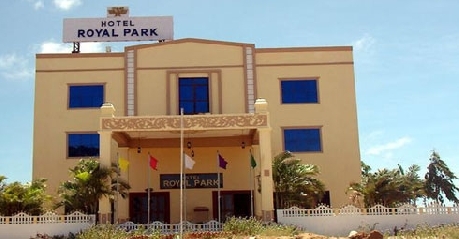 Hotel Royal Park Rameswaram is a three star hotel and is the first luxury hotel in the temple city of Rameswaram. It is also part of the famous Peninsula Hotels (P) Ltd which is a renowned name in the hospitality and also manages various hotels in South India. The hotel has also been visited by our ex-President, Prathiba Patil, Mr Surjith Singh Barnala, Governor of Tamil Nadu, Mr Anil Ambani, chairman, Reliance Communications and many other celebrities and VIPs. The hotel is located in the proximity to the famous Ramanathaswamy Temple of Rameswaram and other temples in the surrounding area. The hotel is located in an Eco-friendly atmosphere and also provided with uninterrupted power supply. For the guests, the hotel offers four kinds of accommodation namely Deluxe Single, Deluxe Double, Superior Single and Superior Double. It also has a pure vegetarian restaurant that caters to the needs of the guests. The hotel also arranges for sightseeing trips in and around the temple city of Rameswaram. A safe deposit locker is provided in the reception of the hotel. This hotel is ideal for pilgrims and leisure traveler. These are elegant, well furnished and well adorned rooms. These are ideal for those who look for a good accommodation in the temple town of Rameswaram. These rooms are provided with amenities like double/twin beds, attached bathroom with 24 hrs hot/cold water, 24 hrs room service, housekeeping, laundry/dry cleaning on request, elevator, LCD with satellite connection, air conditioner, parking, doctor on call, toiletries, etc. The hotel ensures that the guests stay here comfortably. These are larger than the Deluxe single room. These are also elegant, spacious, well furnished and well maintained. These are ideal for those who look for a lavish accommodation in the heart of the temple city. 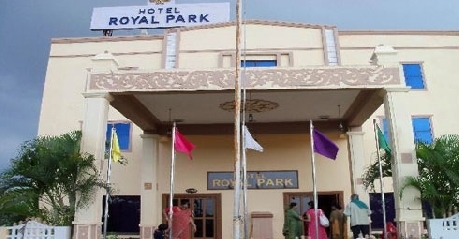 The rooms are provided with amenities such as attached bathroom with 24 hrs hot/cold water, double/twin beds, housekeeping, 24 hrs room service, elevator, laundry/dry cleaning on request, air conditioner, LCD with satellite connection, toiletries, doctor on call, parking and many other facilities to make the stay of the guests memorable. These are larger than the deluxe rooms and are ideal especially when you travel with your family. These rooms are spacious, luxurious and well furnished and ideal when you are on a pilgrimage with your family. 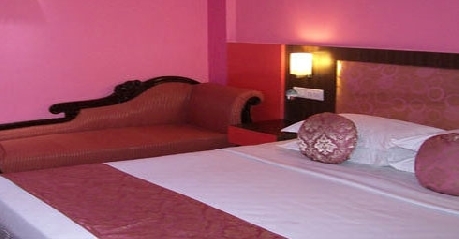 Further, these rooms also come with amenities like 24 hrs room service, 24 hrs hot/cold water, housekeeping, double/twin beds, laundry/dry cleaning on request, elevator, LCD with satellite connection, air conditioner, toiletries, parking, doctor on call and many such facilities to ensure the comfort of the guests. These are more spacious, luxurious, convenient and comfortable. Since the hotel is located in proximity to various temples of the city, these rooms are ideal to stay with your family. Even if you travel single and want to have a spacious room then these are ideal. The amenities available are LCD with satellite connection, 24 hrs room service, housekeeping, 24 hrs hot/cold water, laundry/dry cleaning on request, double/twin beds, toiletries, air conditioner, doctor on call, parking, elevator, etc. The hotel ensures in all possible way that the guests stay is made memorable. The 24 hrs delectable multi-cuisine restaurant serves South Indian and North Indian delicacies. Only pure vegetarian food is served. The food served will be a feast to your palate. You will also be surprised with some exotic and exquisite dishes by our chef. 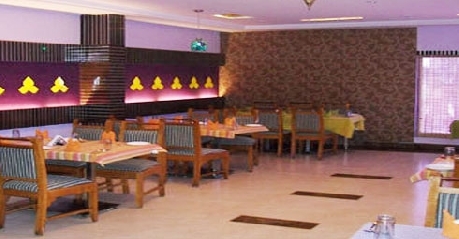 The restaurant also provides in room dining as well as dine in facilities. It also caters to the outside guests also and is one of the most sought after restaurant.